2017 began with some unwelcomed rate increases for PSEG Long Island customers. Homeowners expect to see a 5.5 percent increase – about $6.50 on their monthly bills – over the previous year and all indications are that the cost of electricity will continue to rise. However, PSEG customers with rooftop solar panels aren’t as concerned because they’ll continue to have a considerably lower and more predictable energy bills. For those without them, now is the time to join the solar movement. Electrical utility rates go up and down throughout the year, but the long-term tendency is to rise. These fluctuations are due to a variety of factors including fuel costs, labor agreements, and regulations. In fact, according to PSEG, the 2017 rate increase is primarily because of soaring fuel prices. The energy generated by solar panel systems is not subject to the same market variables, therefore, these changes have significantly less impact resulting in lower utility bills. And, as energy prices continue to rise, the savings will increase over time. New York State has some of the highest electricity rates in the country with prices 58 percent higher than the national average. 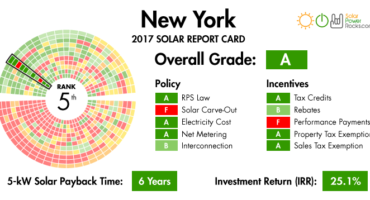 That said, New York is also committed to renewable energy with a top-rated solar industry and incentives to help offset the cost of transitioning to solar power. State incentives, coupled with federal and utility programs, make solar a viable option for many households. Purchasing your residential solar power system outright means you will instantly reduce or even completely eliminate your energy bill. The monthly savings will eventually “pay off” your system. Typical pay off periods will vary based on various factors but the system has a lifespan of approximately 25 years*, the savings are significant. 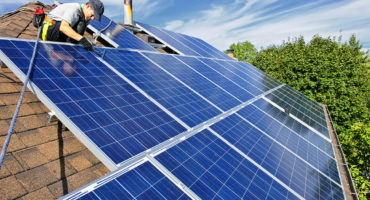 Solar financing and lease options that require little to no out-of-pocket cost are also available. With these plans, the expense reduction varies, but still provides owners with lasting benefits and results in immediate savings. Long Islanders who have not gone solar are at the mercy of the electric company. A solar energy system from Grid City Electric is the most effective way to take control of your energy bills. Start saving from day one, while reducing your carbon footprint. Find out how much you’ll save when you go solar today. Read more about previous PSEG LI rate hikes.